What makes a hero? A big sword? Muscles on muscles? The ability to deliver a fatal one-liner at the end of an epic battle? I’d argue that being a hero is more than that. And Wandersong would agree. In fact, the hero could just as well be a bard as far as this joyous indie adventure game is concerned. And they are! A bard, that is. 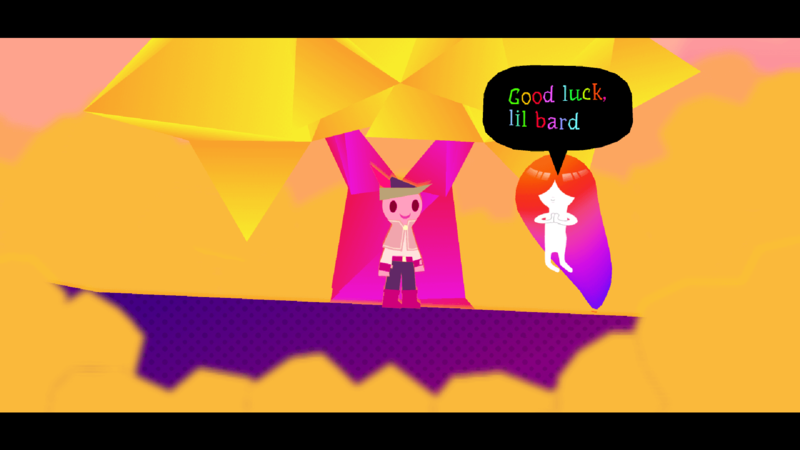 Wandersong is quirky, colourful and charming as heck. A vivid papercraft world, brought to life with simple but effective character design, genuine, whimsical writing and acute comic timing. Grinning from ear to ear at the game’s earliest moments, I stepped into the unknown to discover what I can safely say is one of the most unique, jubilant and perceptive games I have ever had the pleasure of playing. 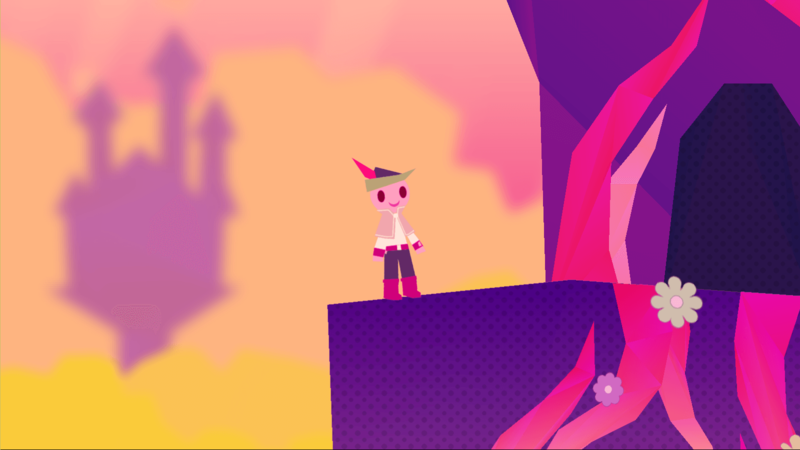 An underdog story in seven acts, Wandersong is far from a typical fantasy adventure. Playing as a bard — I named mine Bard, as seemed appropriate — you’re not much use with a sword. Instead, your voice is your weapon. It’s kind of like how they say the pen is mightier, e.t.c. but with an operatic vocal range replacing your writing tool. Bard’s voice is key to almost every interaction in the game. Whether that’s battling a monster, talking to townsfolk, or traversing through the game’s platforming puzzles. It’s the kind of unexampled mechanic that you just don’t see outside of indie games and it’s great. The focus on music means that the soundtrack has to deliver — and does it ever! A vibrant orchestra of styles and genres greeted me with every new area explored and feat accomplished. Soft acoustic folk lullabies, the haunting drone of an organ, bright xylophonic ditties, and soaring hero themes are but a few examples of Wandersong’s ever-evolving soundscape. All of it is expertly layered and blended, each piece befitting the place or scenario. It’s an accomplishment that can only be met with a kind of slack-jawed amazement. Similar praise can be heaped upon the game’s sound design, which works in tandem with the score to make every area and every action feel fresh and important. Kicking through leaves in or traversing mountain top snowstorms always felt perfect. And to combine all of this with my actions — with Bard’s vocals — well, it makes me smile just thinking about it. Playing like a rhythm game, but with the complexity of a simple RPG and dexterity of a twin stick shooter, it is immensely satisfying to have Bard singing their heart out. The game’s core mechanic is incredibly freeing, with no fail states to worry about and nothing too complex to wrap your head around outside of simple sequences. The further you wander (‘scuse the pun) through the world, the more intricate things can become but only rarely did these situations get to the point of sheer frustration. Platforming, on occasion, was the only place the mechanics ever felt unsuccessfully implemented with some sections taking a little more trial and error to grasp. I’d always get there in the end, though. ‍Turn that frown upside down! Each area is filled with tasks to complete or puzzles to solve, with each act taking place somewhere new. Wandersong’s structure meant that every act felt self contained with unconventional subplots — or “side quests” as your incredibly self aware sidekick Miriam would say — leading to satisfying payoffs; keeping things fresh, and moving the story along at the same time. Borrowing heavily from classic point-and-click adventures and role-playing-games, a lot of time can be spent in each area before reaching the conclusion. Thankfully they’re all wonderfully crafted, with interesting characters and more backstory than their 2D facades initially let on. Each new area plays on a different theme too: ghosts, pirates, subterfuge, warring cities, — Wandersong has all bases covered. The droll tone of the side characters played up to these thematic tropes too, often before grounding the player with sharp, almost sarcastic, wit and surprisingly smart meta commentary. The fact that all of this fits so cohesively into one game’s story is an accomplishment in itself. On paper, it feels like it shouldn’t work. However, what begins as a simple yet unconventional adventure soon opens up into much more. Wandersong is a ultimately a story about people. How we think, what we do and how the world is affected by our actions. The game’s focus on heroism and what it is that makes a hero is brilliant and the way the Bard is positioned throughout just adds to their underdog nature. I was constantly rooting for them. I couldn’t not. It’s so cleverly written, with characters and story arcs that are so easy to invest in, that each new twist, turn and revelation feels impactful. ‍And the band played on. Unfortunately pacing issues halt what is otherwise an all-singing, all-dancing (literally — there’s a dance button), legendary romp. Certain portions of the game's latter half just felt slightly overlong. It was never anything too arduous or discouraging, but these moments put a dent in the flow for sure. The problem rears its ugly head the most in the game’s fourth act: Its molasses-like tempo is most definitely a deliberate choice, but it slowed the game’s momentum to a point close to boredom. It’s hard to explain without giving anything away — and the story here is well worth exploring for yourself — but shift in pace is contextual. I understood it, but I didn’t like it. 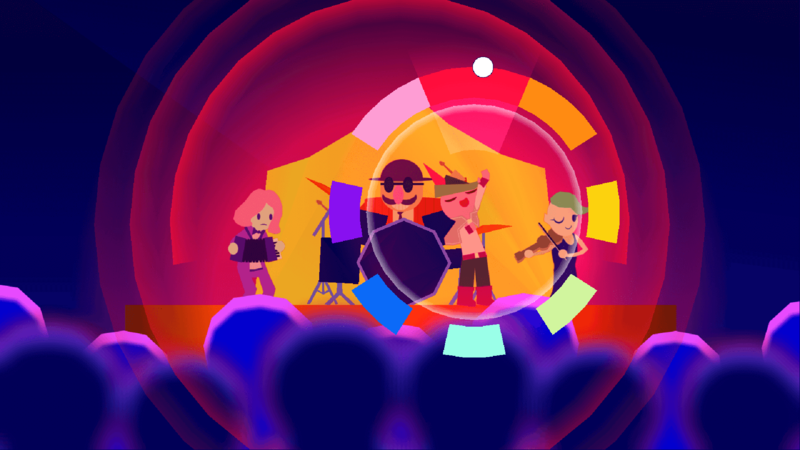 You see, every part of Wandersong is carefully assembled, with the characters, story, gameplay, and soundtrack all uniting as one. Each piece is so interconnected to the others that, for the majority of the time, it’s an absolute feat of storytelling and game design. However, when it falls out of sync it really shows, and brings the experience down ever so slightly. In the grand scheme of things, however, this is merely a minor blemish on an otherwise wonderful video game. Wandersong just feels special. That’s the best, most succinct, way I can describe it. Under all of the adventure and weirdness, is an incredibly human story — one that explores profound concepts in a very accessible, entertaining way. I wish I could say more than that but, to do so, I feel, would be to ruin one of the best parts of this game. I got really attached to the characters, their individual stories and their effect on the wider world. Not only that, but it plays beautifully and sounds incredible too. The sense of wonder and achievement I felt throughout was powerful and, when the credits rolled, I couldn’t stop thinking about it. This is a game you simply must play. I truly believe that. There is nothing out there like it. It's a joyous, affirming, experience that you won't get anywhere else. 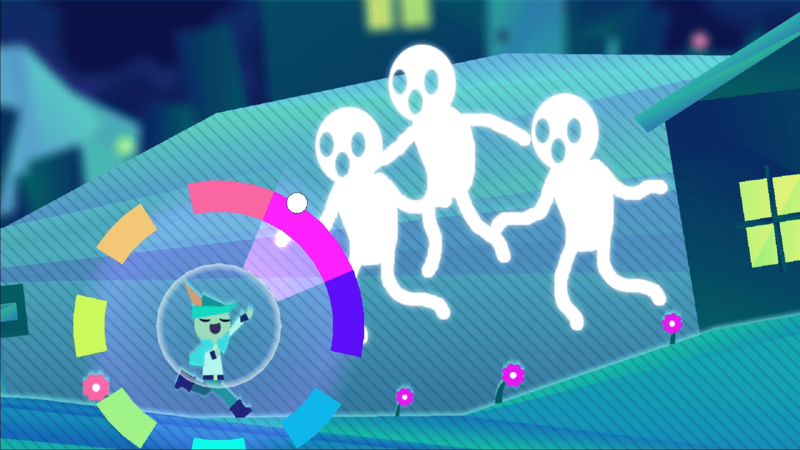 Other games may do some of what Greg Lobanov’s opus does — they may even do them better — but the way these elements come together make Wandersong a unique addition to the art form. Wandersong is a modern classic that is only held back from masterpiece status by some small but significant shortcomings. Still, few games this generation have compelled me to gush like this. Each of the game’s core elements — story, characters, gameplay, soundtrack, and visuals — combine with near perfect execution and the result is a game that you just have to play.